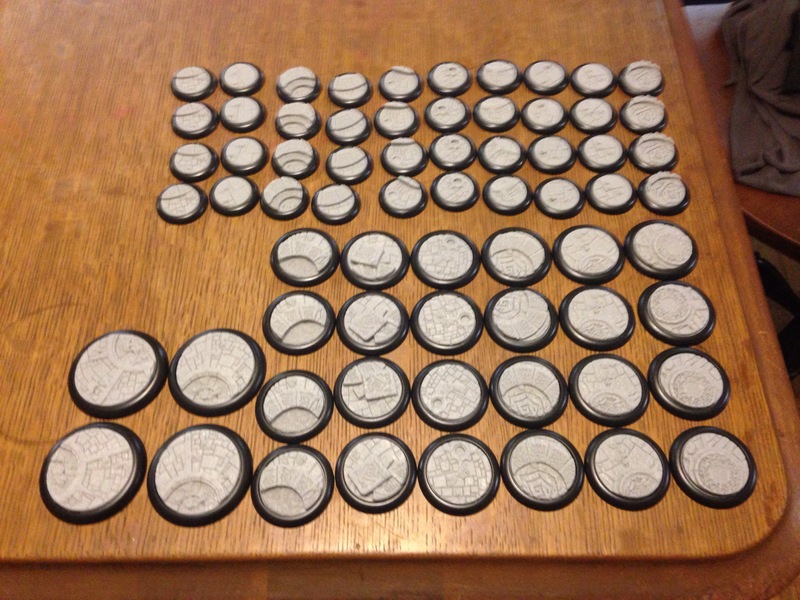 Only six months late (enough to mess up my entire year of Warmahordes), I finally got my Micro Arts mystic bases from last years kickstarter. I went in for two packs of bases, which comprised 4 50mm, 24 40mm and 40 30mm bases. Or, enough for a nice competitive list (I hope). The bases have phenomenal detail and will need only minimal cleaning. I bought these bases for a Circle Orboros army idea I had based off of the Privateer Press Hordes Two Player Battle Box Model Kit. Unfortunately, we’re half way through the season; but I’ll hopefully be able to run this list next season.